I always envy how people could purchase old furniture in a very cheap price. I wish there is a place like this in our area. 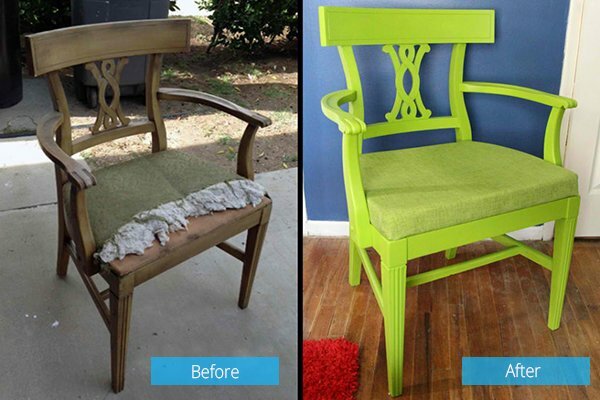 I would really love to do some furniture makeover just like what these creative people did to some wooden chairs they got. The chairs are either an old family possession or something they bought from a thrift store or an online sale. See? Who would not envy them? Knowing that these are old chairs will give us the clue that they are tattered and are no longer presentable or comfortable to sit on. 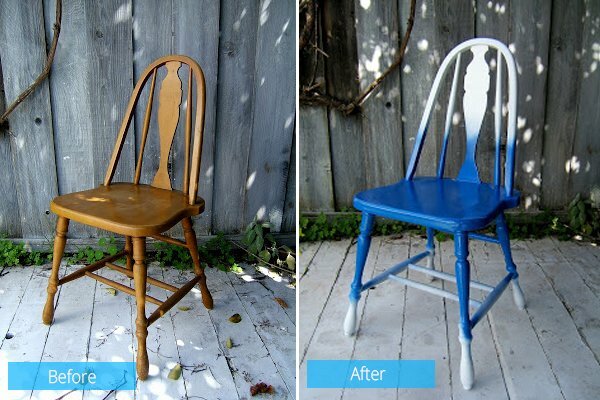 Obviously, they deserve a makeover and you will be able to give that comments too once you see the before photos of the chairs. Seeing the after photos will make you envious even more just like how I felt while collating this list for you! 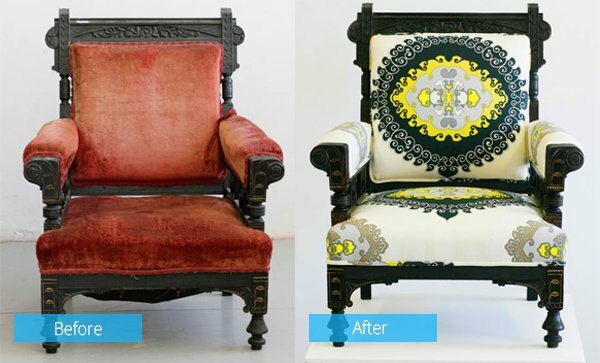 Look what happens when you change the color and upholstery of a chair. It has a really great impact! 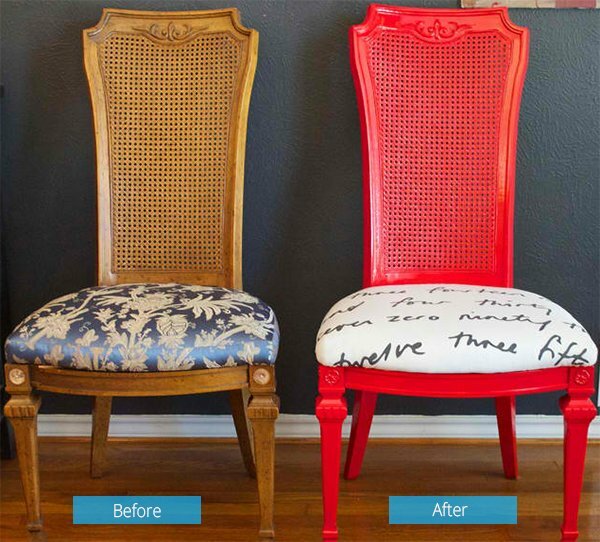 I love the typographic fabric used for this chair and of course, the red paint is stunning too! Who would expect that a boring wooden chair can actually look this beautiful in black and white. 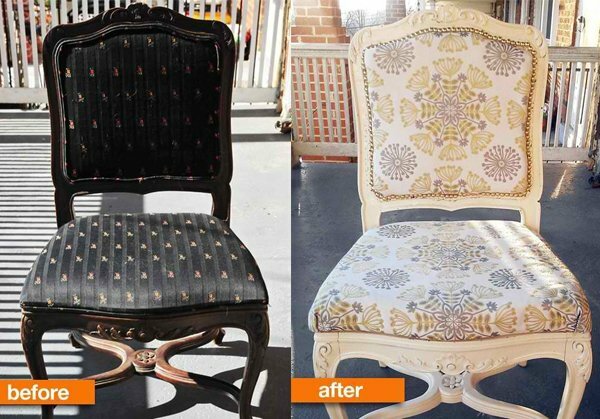 This chair looks really old by the way the foam looks like but the makeover was nice that you will never think it looked like this before! 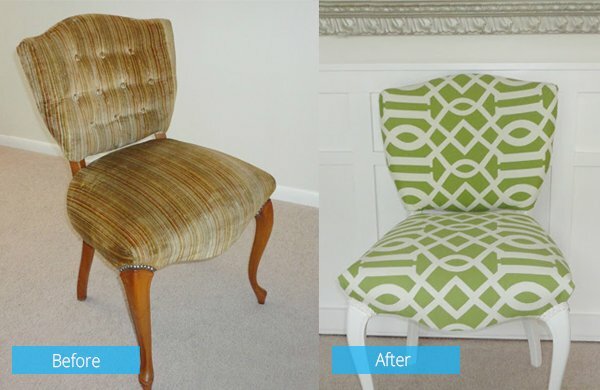 A dull chair was updated with a green and white Waverly fabric and looked very lovely! 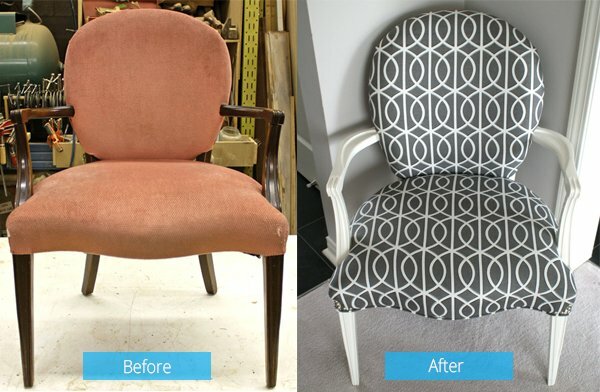 If you have an old chair which is still in good condition, try to put wool or a think fabric to cover it and get an easy and instant makeover. 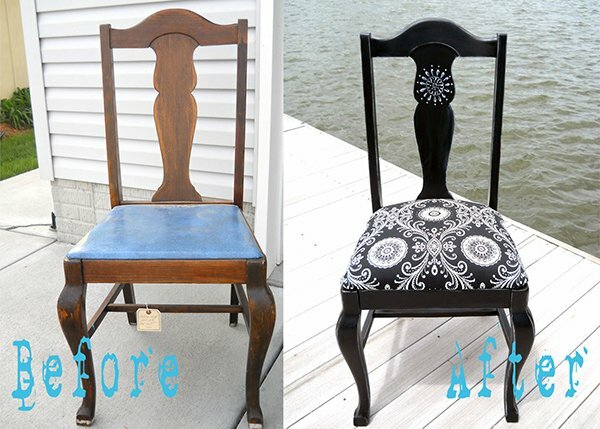 Merely painting the chair will change its look but adding the stripes as well as the rose stencil is a good idea. I like how wooden texture peeped from the rose! This 19th-century Eastlake armchair was bought from an auction and was covered with Trina Turk fabric in black, white and yellow palette. I really love how it turned out! I like the yellow and gray colors of the new fabric as well as the brass embellishments on the back of the seat. Originally the chair was orange cherry wood and mauve velvet but I like the new look even more. If I see this chair in the corner, I’d definitely do what Alyssa did. I’d get it and do a makeover too. Look at how pretty it is now! I so love the back of this chair! It looks like a shell or something. 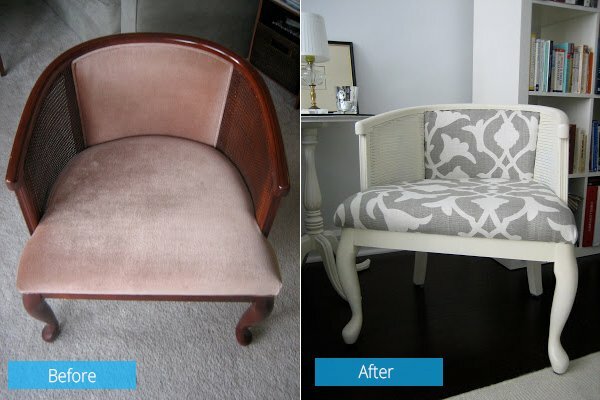 It is just so stylish and it looked even better with the new upholstery and paint. 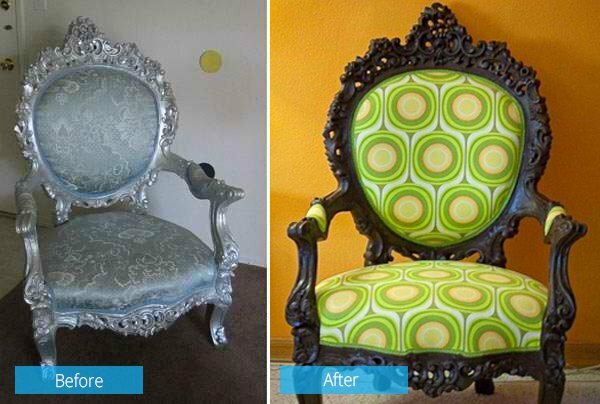 Damask is love like what is used for this pair of beautiful chairs. But what really caught my eye is the throw pillow! Two chairs look really old timey. The seats were even wrapped in plastic. But the update took it to a new level. 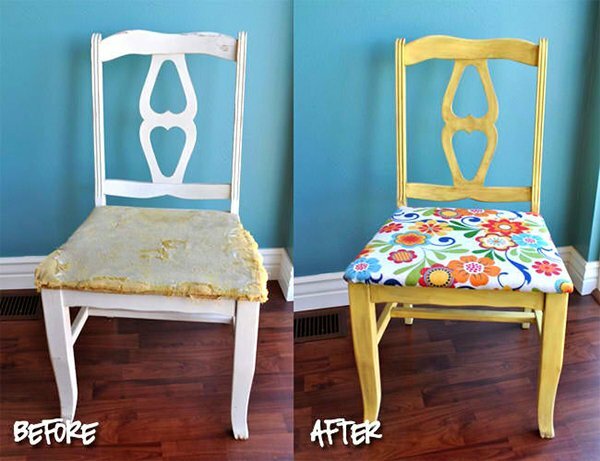 If you don’t want to do upholstery, then just paint. And if you paint, be creative like this one! 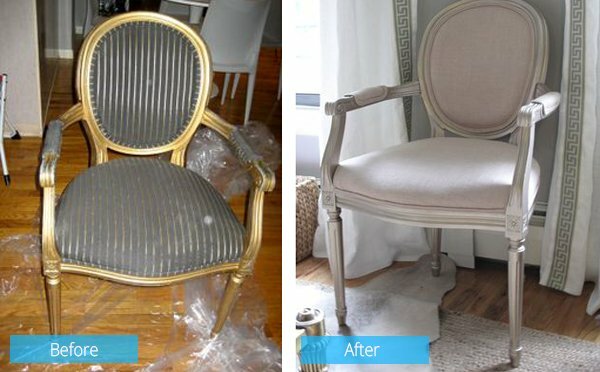 The blogger who did this makeover bought a Louis XV style armchair on eBay and then painted it using metallic paint in Warm Silver which actually looks more like a light rose gold-ish color. Soft pink metallic linen was used for the fabric. 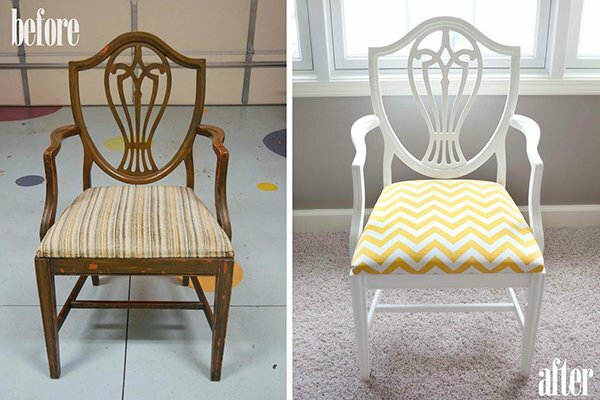 You can see that there is a huge difference to the original chair and the new one. Like the color! 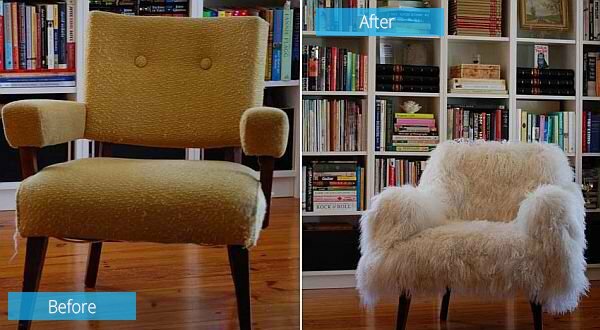 The chair appears like it belongs to the garbage but a simple update, it looked better now! 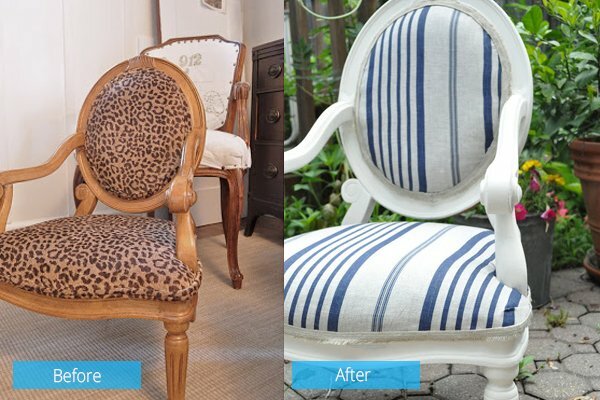 From leopard print to striped linen- the owner was so happy about what the outcome of her project and I can see why. 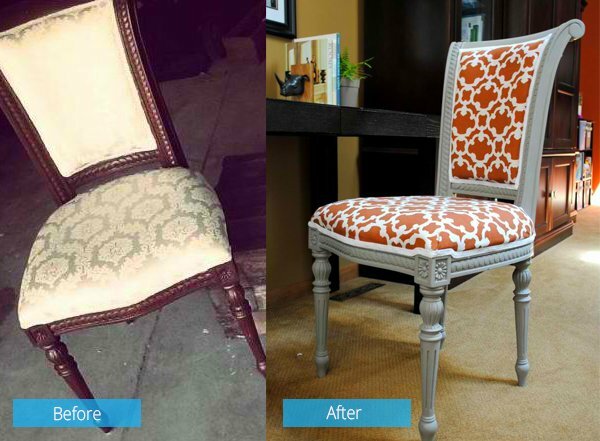 Now the result of the makeover totally turned the chair into a charmer! 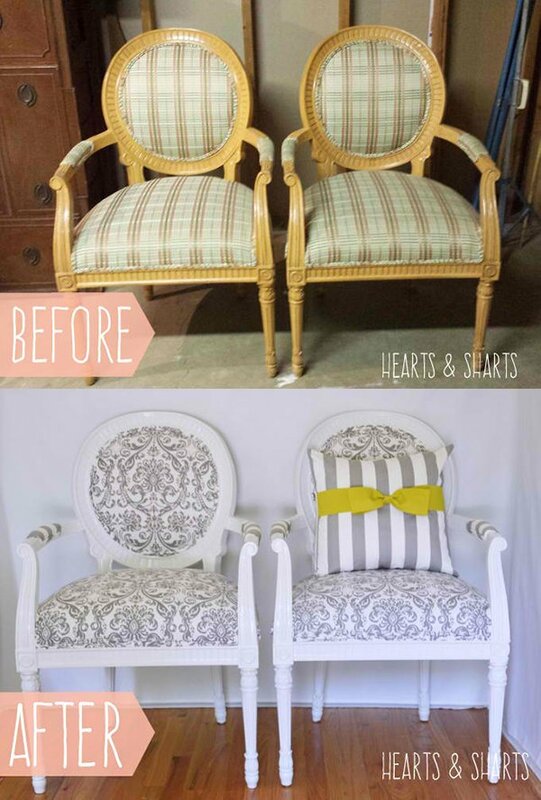 You would need to do some painting and even re-upholstery in order to get beautiful chairs like the ones above. But you can learn doing that for sure. 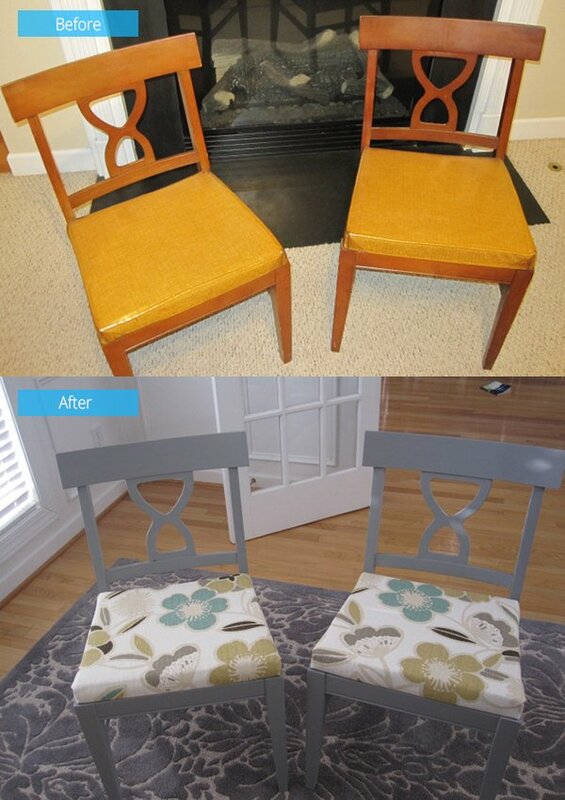 You might even enjoy it that you will do more furniture makeovers! 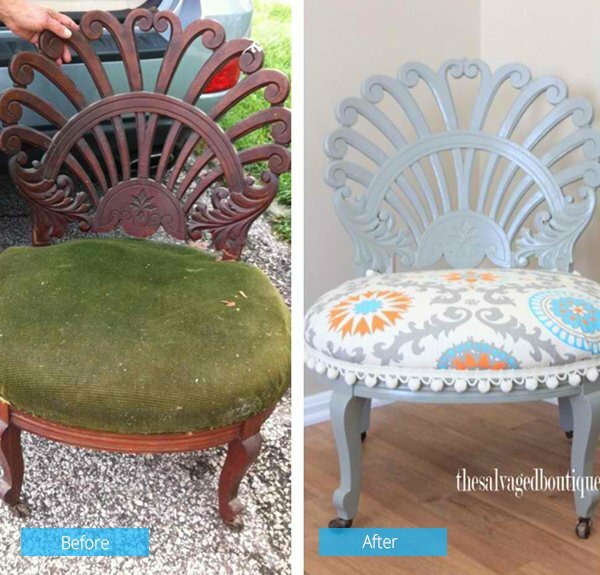 Or you can make your own furniture too just like what we showed you in our list of DIY ottomans which will also motivate you to make your own accent furniture!